One sound invented two centuries ago was said to drive all those who heard it insane, even to to the point of suicide. St. John's contributor Chris Brookes takes us into the astonishing history of the glass harp, from the parlour to the paranormal — and even to death metal — and shows how the sounds we create shape our understanding of the world. So wrote William Congreve in 1697, around the time that Scottish warriors were playing bagpipes — not to soothe, but to terrify their battlefield enemies. Five centuries before that, native North Americans frightened invading Vikings with the sound of bull roarers swinging through the air. And Aztecs would blow into a death whistle that's bone-chilling to hear even now. And even before all that, Joshua's horn was said to have brought down the walls of Jericho. Throughout the ages, some musical sounds have been believed to have a profound physical effect on us. 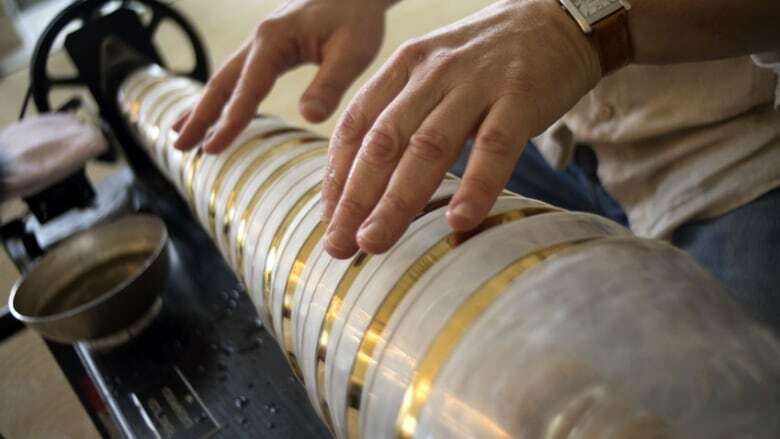 But one musical instrument invented in Ireland two centuries ago was suspected of driving all those who heard it to madness, and even suicide: the glass harp, or armonica. It was invented by musician Richard Pockrich, who arranged glass vessels and rubbed his fingers around the rims. Beginning in the 1740s, he performed in London on a set of upright goblets filled with varying amounts of water. A decade and a half later, Benjamin Franklin got into the act. In 1757, while in Cambridge, England he attended a concert given on wine glasses. He thought it was the sweetest sound he had ever heard and wanted to hear more, so he invented his own version. He arranged graduated size bowls with holes and corks in the centre, which he then put onto a horizontal spindle and rotated by a fly wheel and a foot pedal. Franklin also used a novel method to identify the notes of the bowls. He painted the seven white keys the seven colors of the rainbow and the five black keys, white. The armonica was a hit. Marie Antoinette took lessons on it and Dr. Anton Mesmer, the famous hypnotist, used it to put his patients into a deeper trance. Composers wrote for it: Mozart, Beethoven, Donizetti, Richard Strauss, and Saint-Saens. By late 1700's and early 1800's, the superstitions started taking off. But by the mid-1800s, the instrument was effectively prohibited. Despite its decline, though, rumours persisted that its ethereal sounds could make listeners go crazy, and that its ghostly melodies could call forth the dead. Neither claim was true. But the armonica's story, as Chris Brookes illustrates, is more fascinating than any of the urban myths about it. Chris Brookes is a documentary maker and director at Battery Radio. Simon Morris is the Commercial Director for the Mosquito anti-loitering device. 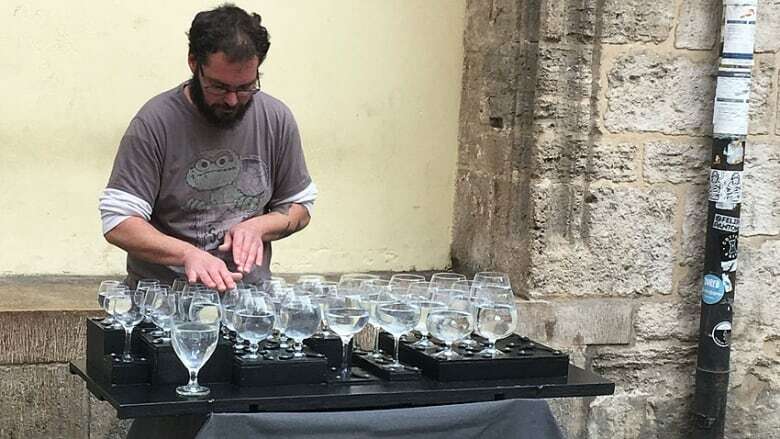 Robert Tiso is a glass harp virtuoso. Corey Mead is an Assistant Professor of English at Baruch College and the author of Angelic Music: The Story of Benjamin Franklin's Glass Armonica, (Simon & Schuster, 2016). Mark Korven is a Canadian musician and composer for film and television. Dr. Jennifer Goff is the curator of the Eileen Gray collection and Furniture National Museum of Ireland. Dr. Harris Berger is the Canada Research Chair in Ethnomusicology at the Centre for the Study of Music, Media, and Place (MMaP) at Memorial University of Newfoundland and co- author of Metal Rules the Globe: Heavy Metal Music around the World, (Duke University Press, 2011). Please stop making that noise, Barron H. Lerner on Misphonia, The New York Times, February 23, 2015. Berlin uses atonal music to drive homeless from station, The Times, August 21, 2018. The Art of Setting the Senses on Edge, Anthony Tommasini, The New York Times, March 30, 2014. The Five Worst Sounds in the Universe, Tim Newcomb, Time, October 11, 2012. **This episode was produced by Chris Brookes.